you must be aware that unwanted people may have access to personal information and devices without adequate security measures. Security solutions help to create a comfortable home in a digital safe. Welcome to return home from work in a good mood, open the main door and get to know the iris, and at home, we welcome you warmly. Before entering the room, the lights are on and the mixer asks if you want to shake the protein before going out to the gym. The daily recipe is displayed next to the tablet stove and the refrigerator is ordered and topped up with the most important ingredients. The E-Car already now supports its own generation of electricity and leads us autonomously on the fastest route to the desired destination. 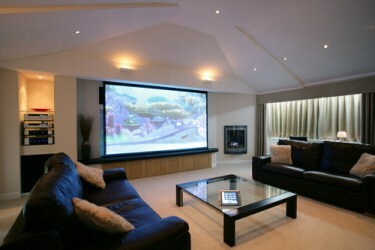 All devices that are no longer needed are automatically switched off, shutters close and the house is monitored.If the supplier calls the door, you will receive a message on your smartphone and you can set the video position of the package you have ordered using a voice call from your supplier. After sports activities, you can enjoy the favorite music that provides a refreshing shower. Smart TV recognizes that we are at home and chooses the preferred program or movie. Light automatically adapts to the individual needs and time of day so you can immerse yourself in the realm of dreams at the end of a successful, wise day. Everything I can control in my Smart Home can be done by a hacker, no matter how beautiful and enjoyable the sound of the intelligent world sounds. You need to be aware that everything you can control and set up can also be done by a hacker who can remotely monitor us and determine the best time for burglary and thus attack our privacy it can deactivate the built-in alarm system. In addition, he could have sold his behavior during use to the highest bidder and his personal habits are passed on unnoticed. Experts have repeatedly identified potential threats, discovering blatant security flaws in IP cameras, which were easily accessible and designed to slightly increase the security of Smart Home. Unfortunately, there are several devices on the Internet that are not fully protected. Unauthorized persons can remotely control cameras, thus gaining access to video and sound. Even passwords for the entire WLAN, e-mail and Internet Service Providers can be searched for because of a defective firmware. Meanwhile, the manufacturer has reacted to the software update. There are ways to effectively protect yourself and your Smart Home, starting with protective measures during installation. 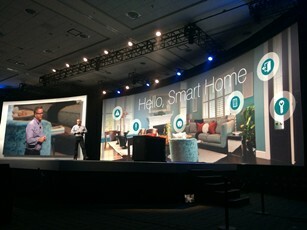 Each connected device must be seen as a possible gateway for the entire home network and all personal devices. A comprehensive network of individual devices ensures that the entire network is as robust as the weakest protected device. Of course, the whole system also requires appropriate security mechanisms such as firewall, access rights, and encryption. Regular updates should also become an unavoidable habit when using network equipment. Make sure the updates are always authentic, i. e. they should come directly from the device manufacturer so that Digital Home always complies with the latest guidelines. The factory pre-configuration should not be applied to all devices. Standardized usernames and passwords must always be personalized. When assigning a password, do not use simple passwords such as “password123” and do not use the same uncertain password everywhere. Regular password changes also increase security. Whoever has access to the whole system from the user should be carefully selected and authorized. It is often sufficient that some users only receive specific data or access to explicit appliances, e. g. for reading heating appliances. It is also useful to define a term. In order to protect your personal data, it is necessary to use appropriate cryptographic methods, such as encryption, to protect your personal data against unauthorized third parties or in the case of mobile access on a transmission path. Particularly sensitive and confidential information should only be accessible to the owner. This could be achieved, inter alia, by local storage of data rather than using a cloud for such sensitive data. Not only intelligent but also safe There is much to consider. 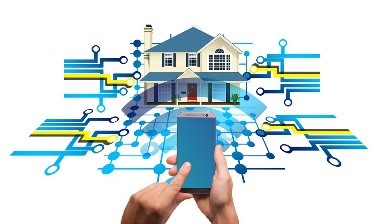 Why is it worthwhile to create your own Smart Home Increased comfort, often increased the potential for energy savings and higher quality of life are obvious advantages. If you are using contextual-sensitive security solutions, i. e. if you ask yourself which data are particularly worthy of protection and what security gaps the system has, you can protect yourself in digital walls without incurring high additional costs. An essential prerequisite for choosing an intelligent home is, therefore, to take intensive care of security and solutions to ensure the safety of your own home.